You can find our products at the Watauga County Farmer's Market, the High Country Food HUB, and at several local independent restaurants and stores in the Boone/Blowing Rock, NC area. We also grow hemp for CBD oil. You can find our products at the Watauga County Farmer's Market and at several local independent restaurants and stores in the Boone/Blowing Rock, NC area. We hire apprentices from March 1st thru December 1st each year, with potential for longer term employment. A general work week (35-40 hours) will involve field crop management, pasture based livestock management, harvesting, assisting in marketing, and a wide range of other seasonal and routine tasks related to diversified farm product production. We pay $10/ hour (about $1400/month after taxes, if you’re comparing it to a stipend), plus food products from our farm. We offer offer one employee the opportunity to rent a camper 5 minutes from the farm. Cost to rent the Camper is $80/ month, plus utilities. We intentionally try to hire employees who are geared up to farm themselves one day, or continue on in a "carrier" within sustainable agriculture. Just as important as fair financial compensation, we strive to provide apprentices with a professional experience on our farm. We are about 35 minutes South of Boone, an hour and 40 minutes NE of Asheville, and about an hour and a half North of Charlotte. 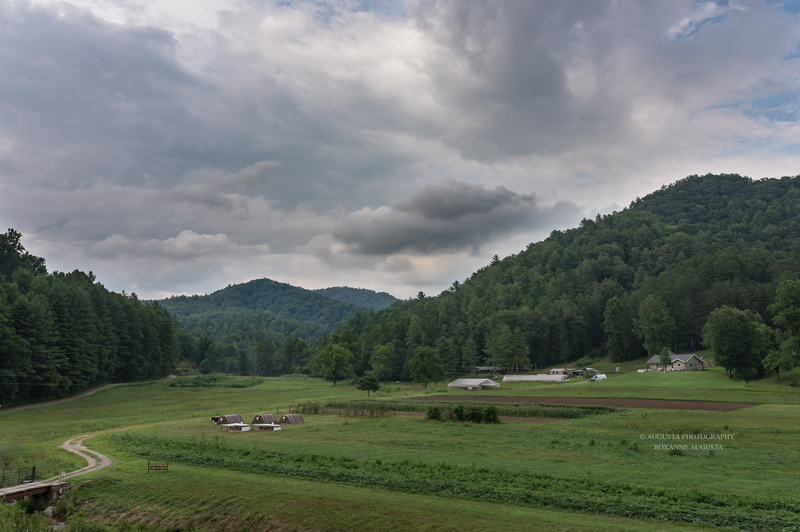 Our farm is located in the middle of Pisgah National Forest, and there is a wide variety of outdoor activities within a short distance of our farm. Whether an individual has prior farming experience or not, we consider all potential interested apprentices. Prior experience is a plus. One of the best qualities an apprentice can bring to New Life Farm is a willingness to learn and the confidence to ask questions to better understand all of the ins and outs of proper and efficient farm management and production. We value individuals who have a positive attitude, good comprehension skills, and the ability to self motivate themselves to see tasks to completion, in spite of rigor and monotony. We value open communication, as well as mutual respect in all matters. When and if issues arise, we value individuals who are able and willing to resolve issues in a respectful manner. 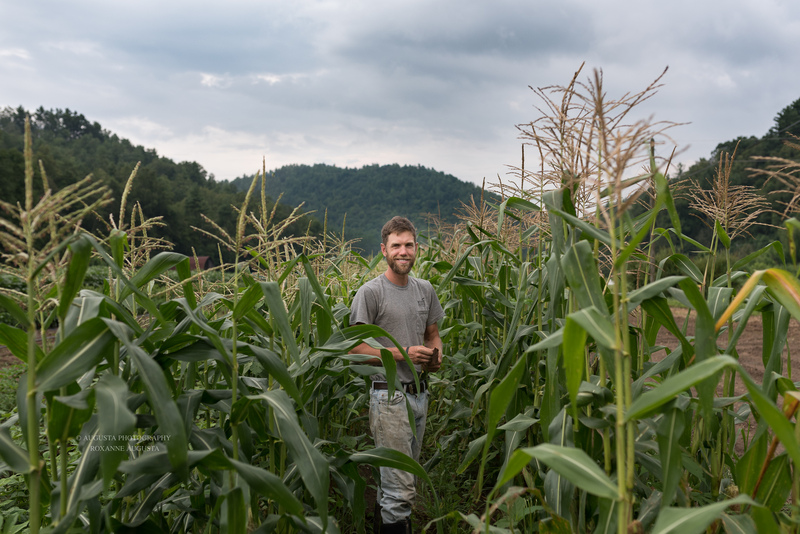 Apprentices at New Life Farm should posses a degree of physical fitness and endurance. Being able to work outside in a variety of elements is important. Apprentices must provide their own means of transportation, as well as possess a valid driver’s license. At New Life Farm, we try to operate as a cohesive team that can communicate and execute in an efficient manner all and any tasks we are faced with on a day to day basis. As apprentices gain a better understanding of each related to work on the farm, we value individuals who take initiative and exercise situational awareness as they are engaging in a variety of day to day activities. A unique component to our operation is our interest in actively seeking Military Veterans who are interested in pursuing sustainable agriculture as a vocation. While we do not necessarily give preference to Military Veterans, we do try to make an effort to engage the Veteran community to find individuals seeking a renewed sense of purpose through meaningful work. To inquire about employment opportunities, please contact us by email between December and February. We periodically host educational (CRAFT type) events on our farm, which you can find out about on our website or Facebook page.